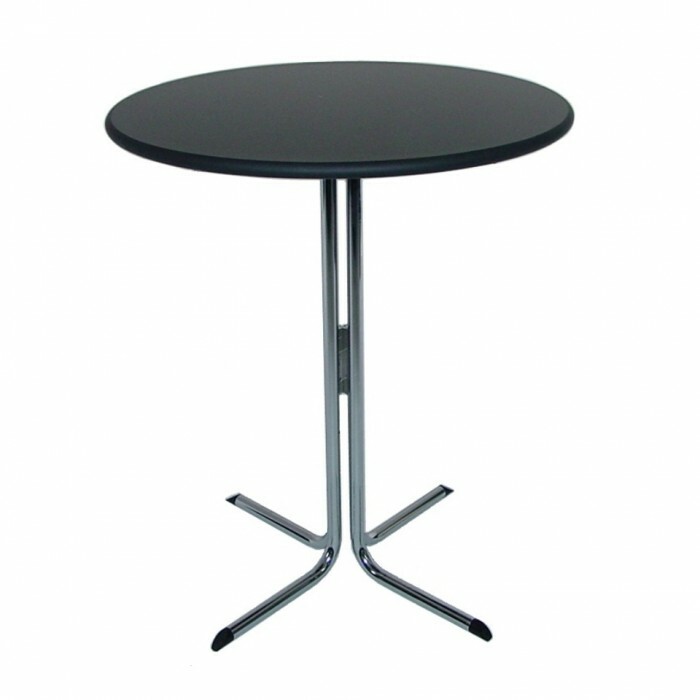 Table Top : Black melteca. Table Base : Chrome slot lock legs. Dimensions : 900mm diameter x 1050mm high. Ideal for : Events, shows, exhibitions, receptions and weddings.